Dr. Jane Hannaway is a vice president at the American Institutes for Research and is a senior advisor on longitudinal data systems for the College and Career Readiness and Success Center Dr. Hannaway is the director of the analysis of Longitudinal Data in Education Research Program and the director and overall principal investigator of the CALDER project. Dr. Hannaway’s work focuses on the effects of education reforms on student outcomes as well as on policies and practices. Her recent research is heavily focused on the effects of various accountability policies and issues associated with teacher labor markets. This work includes a large scale multiyear evaluation of the Florida educational accountability plan; an NSF-funded longitudinal analysis of shifts in staffing and financial resource allocation at the school and district levels as a consequence of standards-based and performance accountability reforms; and analyses of individual level longitudinal data to assess effects of student mobility patterns on achievement. Dr. Hannaway previously served on the faculty of Columbia, Princeton, and Stanford Universities. 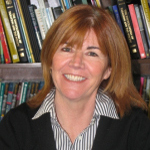 Dr. Hannaway has authored or co-authored six books and numerous papers in education and management journals. She has held a number of national positions and currently serves on the National Academy Committee on Value-Added Methodology for Instructional Improvement, Program Evaluation and Accountability.